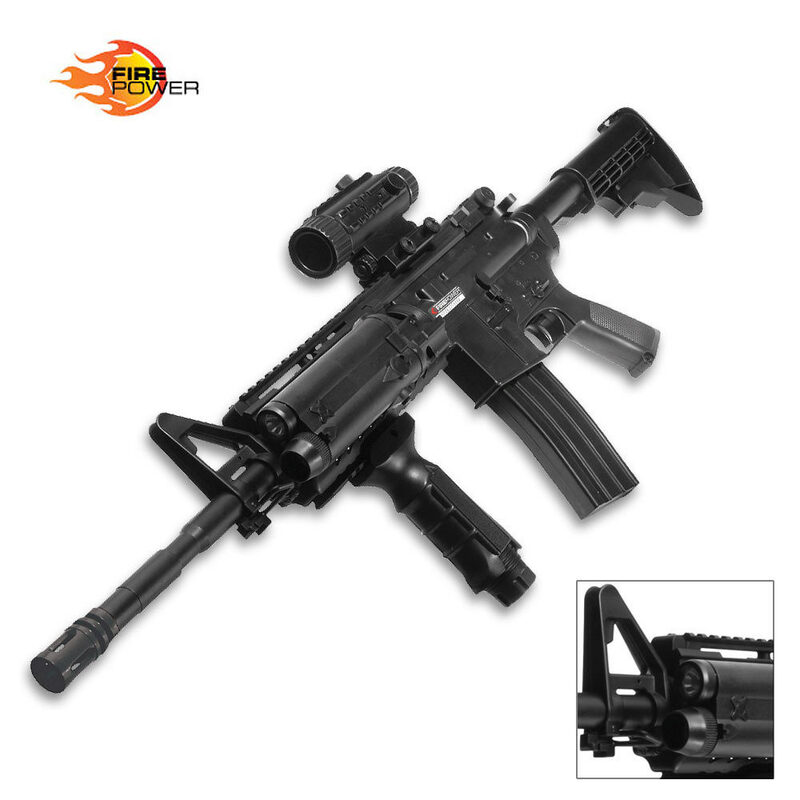 Firepower M4A1 Electric Airsoft Rifle | BUDK.com - Knives & Swords At The Lowest Prices! 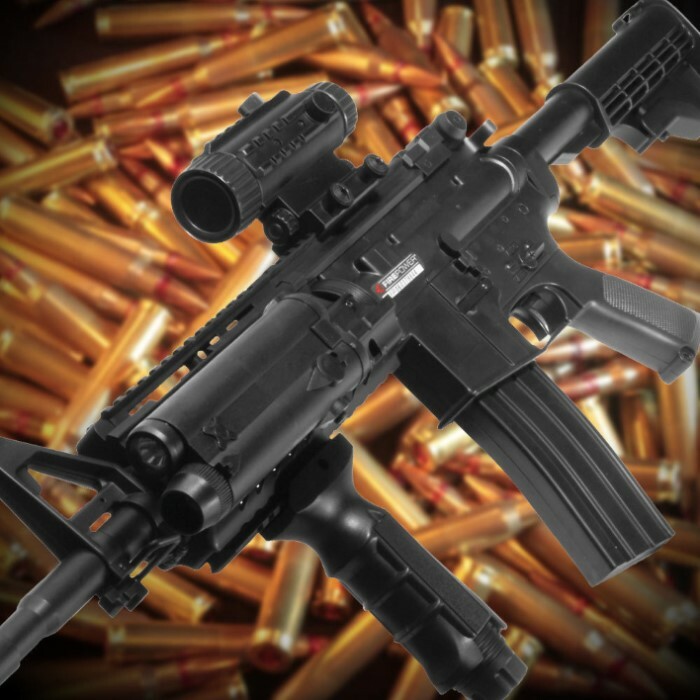 This M4A1 is one of the best starter electric rifles on the market. This one offers 220 FPS velocity and 500 magazine capacity, as well as Spin Up accuracy shooting system—putting a backspin on the BB allowing for greater control and accuracy. It also includes battery, charger, fore-grip, tactical flashlight unit, plastic gear and gearbox. So i just got it, and first of all it is only 200 fps which is 20 less than advertised. The entire thing is basically all plastic which is a minus. The light on it is blue, which i like. I don't know about others but mine came with a red laser sight. The acog scope on top is actually where the BB's go, the magazine is where the battery is, I'm ok with that. I haven't shot this gun but I have seen a ton of videos of it so I know that its a really good beginners gun. The only dumb part about it is that you cant see the out the scope because that's were the bbs go and the clip is the battery.